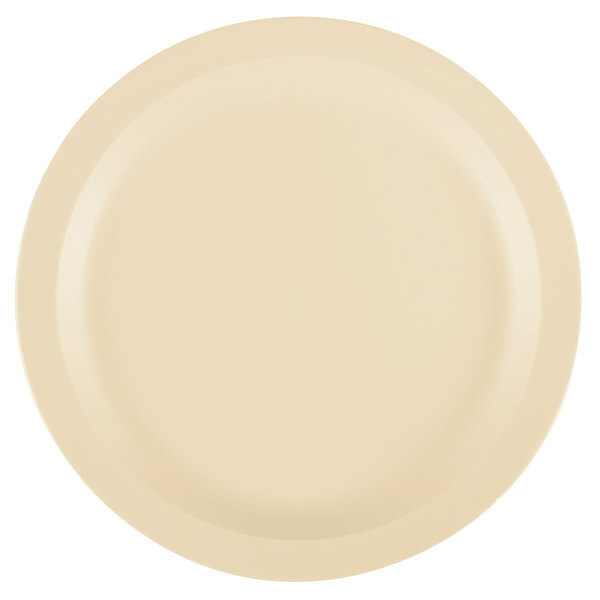 Stop wasting money when replacing expensive china with this virtually unbreakable, Cambro 9CWNR133 beige Camwear 9" narrow rim plate! 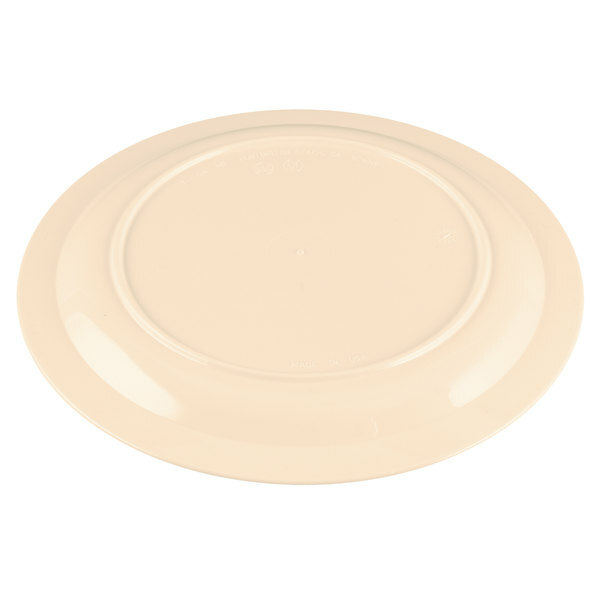 Perfect for cafeterias, day care centers, and healthcare facilities, the Cambro 9CWNR133 Camwear 9" polycarbonate plate resists stains, odors, and scratches. 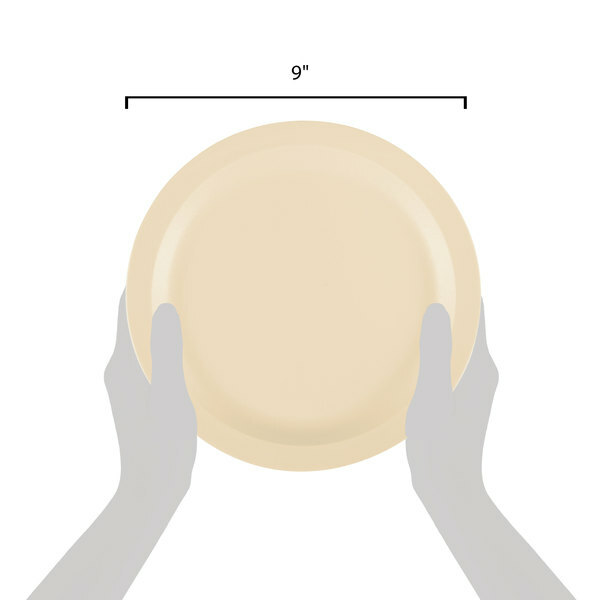 The plates was nice, not heavy like ceramic plates we have. The quality was also good, and used less space to storage. I don't have to replace to quickly. 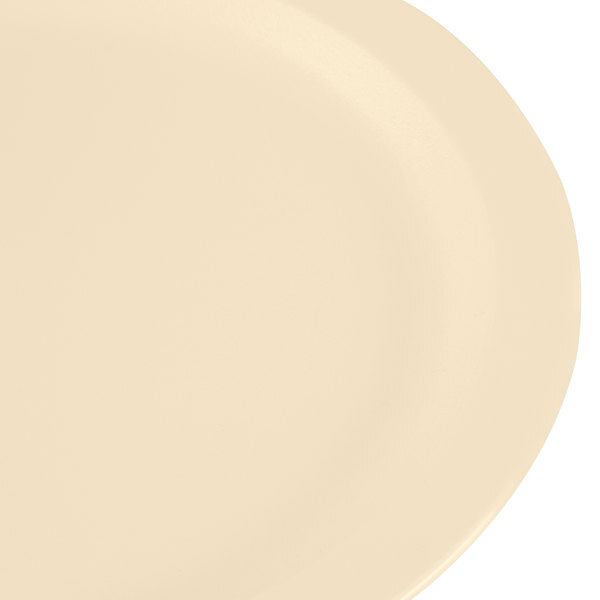 These plates have been a staple of our Summer Camp Dining Facilities for well over 2 decades. Very durable and RARELY break... only when knocked into something with force. Worth the price!! The only Cons are if/when the surface gets scratched from long use, they can appear stained, even when cleaned in a dish machine. The "stained look can be partially or mostly resolved with a quick soak in bleach. 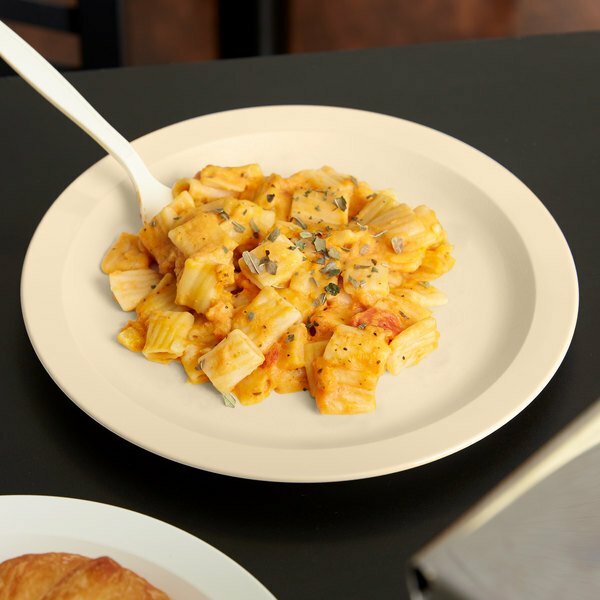 These plates work great and at a great price. They are just the right size for our salad and pizza buffet and hold up to the dishwasher well.